edit player level and skill. edit saved colors for truck and trailer. edit company HQ and amount of money on account. 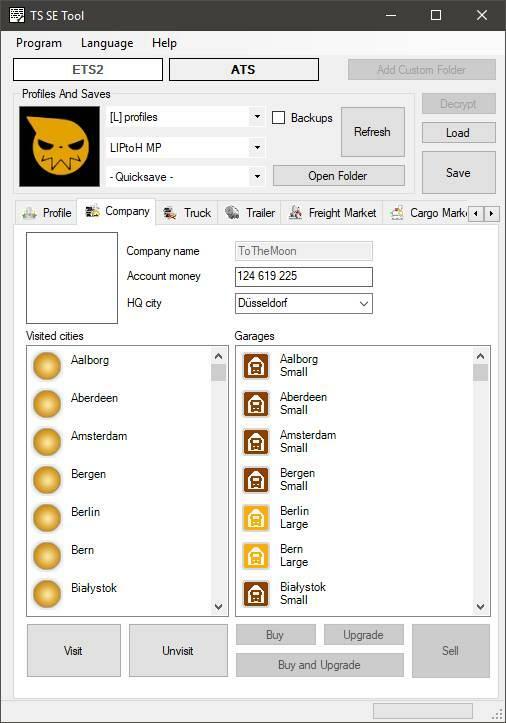 visit cities and be able to grab cargo from discovered cities. repair and\or refuel your truck. 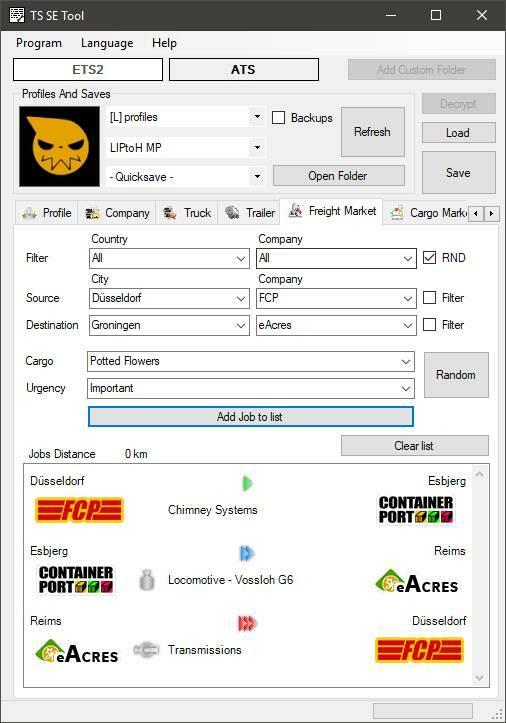 create custom jobs for Freight market. 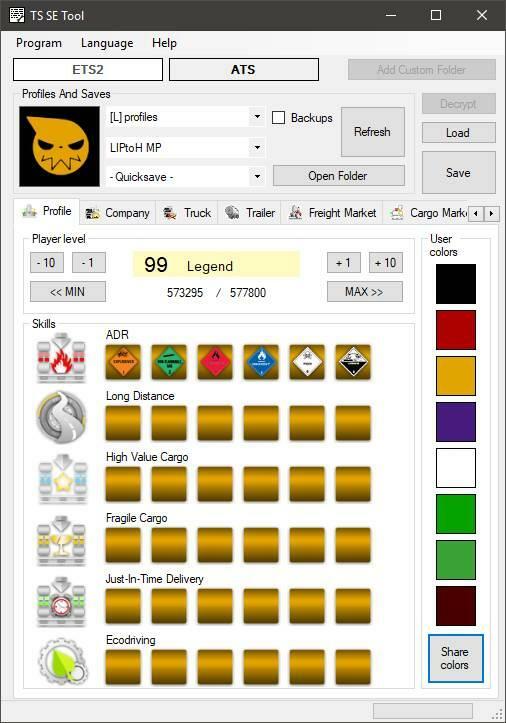 make basic edits to Cargo market. share GPS coordinates and paths that can be useful for Convoys. 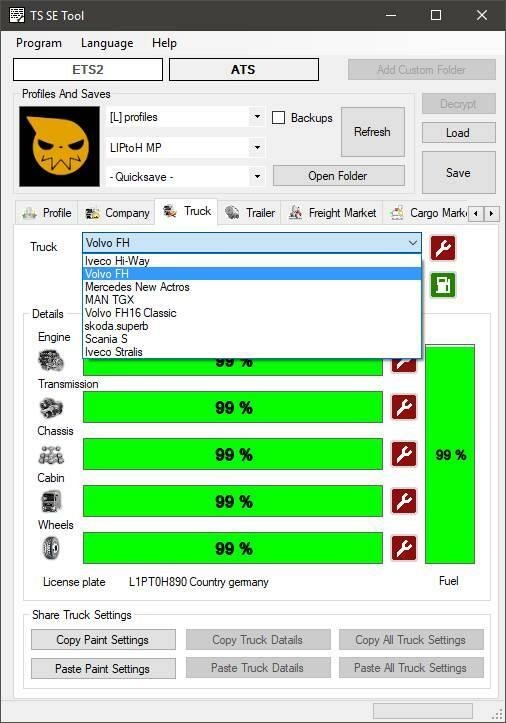 finish sharing functions for truck parts. add editing and share functions for trailers. add the ability to edit files from custom path.